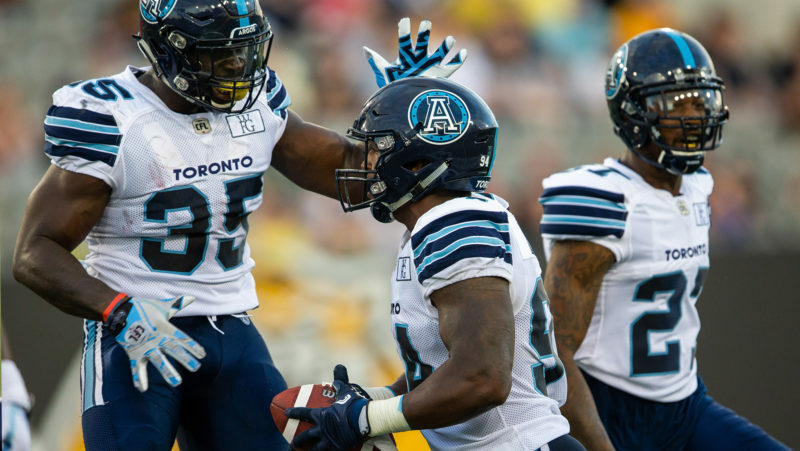 McLeod Bethel-Thompson turned the tide on the hype surrounding his positional counterparts from the opposing sideline as the Toronto Argonauts defeated the Hamilton Tiger-Cats 36-18 in the first game of either team’s preseason schedule. Bethel-Thompson took the helm of Argos signal-caller for the entire first half of play at Tim Hortons Field on Friday night. With Ricky Ray not dressing for Toronto, Argos head coach Marc Trestman handed the reigns to Bethel-Thompson as the Boatmen look for a strong backup to Ray, and he stepped up to the task passing for 122 yards on nine of 11 passing attempts to go along with two touchdowns. Trestman stuck with his quarterback through the duration of the opening half, while Hamilton stuck with their projected starter in Jeremiah Masoli. Masoli finished the night completing eight of his 13 pass attempts for 115 yards. The sixth-year man showed signs of struggle through his given reps, throwing two interceptions to go with the Tiger-Cats six first-half turnovers. The Argonauts defence flexed their muscles early on in the first quarter, forcing two turnovers. Toronto capitalized on their second forced turnover, scoring off of a 42-yard field goal by Swayze Waters. Bethel-Thompson settled things down after a slow start for either team’s offence on Toronto’s next offensive drive following a quick two-and-out by Masoli and the Ticats offence. After gambling on third down, Bethel-Thompson connected with Chandler Worthy for a 3-yard touchdown pass, putting the Boatmen up 10-0. Holding onto the ball became an ongoing issue for the Tiger-Cats in the opening quarter, turning the ball over five times. Hamilton’s Nikita Whitlock would be responsible for two of three Ticats fumbles. Heisman Trophy-winning quarterback Johnny Manziel got his first taste of action in a real-game situation with less than four minutes remaining in the first half. The former NFL first-round draft pick came in, completing three of three passes for 28 yards and committing a sack before halftime. Bethel-Thompson’s second pass for a score came on a quick dump to running back Branden Burks, who took care of things from there after switching direction twice before breaking free for the corner of the end zone for the score. Toronto started the second half with former Eskimo James Franklin in at quarterback, but his new threads quickly met the turf at Tim Hortons Field after being hauled down by Ticats’ first-round draft pick Connor McGough. The Argos continued to extend their lead in the third quarter after James Franklin plunged in from one-yard out. 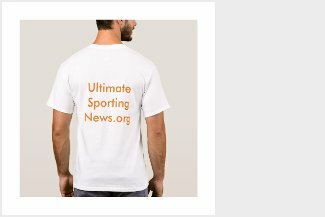 Manziel showed glimpses of his abilities that earned him the Heisman Trophy during his time at Texas A&M, passing for 80 yards after playing the entire third quarter behind centre for the Black and Gold, completing nine of 12 attempts through the air. Hamilton got themselves a late spark from kick return-man Frankie Williams after fielding a 43-yard punt and returning it 73 yards for the touchdown as time expired for the third quarter. Facing the team he won a Grey Cup with less than a year ago, Ticats’ Lirim Hajrullahu knocked through a 54-yard field goal in the fourth quarter as the Tiger-Cats pushed to narrow the Argos lead to 33-16. Shortly thereafter, the Argonauts answered back with their own field goal off the boot of Waters from 32 yards out. 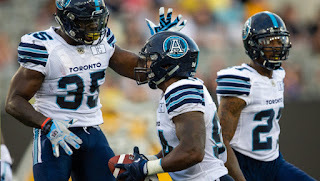 As the final minutes ticked away, the Argos managed the clock, putting the cap on their victory in Hamilton on a night that saw June Jones’ offence commit six turnovers. Toronto capitalized off of those mistakes, eventually defeating the Tiger-Cats 36-18. Toronto will take on the Ottawa REDBLACKS at the University of Guelph’s Alumni Field on Thursday, June 7 at 7 p.m. Meanwhile, the Ticats will take off to Montreal to take on the Alouettes the following Saturday with kickoff scheduled for noon.